Penang's Kek Lok Si: The Real Stairway to Heaven? 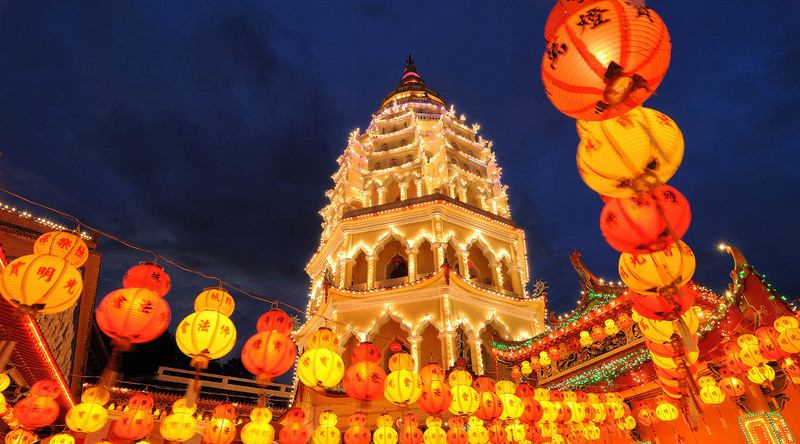 Home/Destination Immersion® Experiences Blog/Penang's Kek Lok Si: The Real Stairway to Heaven? To me, temples and castles seem to be magical, and they take me back to a time in the past. I left Asia as a child, and this is my first journey back to Asia. It is a great introduction for me to further explore my history. But this part of the world is all new to me. Visiting KekLok Si—what a visual feast! No wonder it’s name means “Temple of Supreme Bliss”. Is it a colorful city in the mountains? That may be what it looks like on the surface, but it’s actually the largest Chinese temple in Southeast Asia, right in Penang. As you hike to the temple up the stairway, it is a slow incline that lifts you to your Zen path. The roofs provide shelter over an assortment of shops that sell souvenirs and other goods. Inside, it’s hard to comprehend all the detail. There are literally millions of images of Buddha (there’s even a Pagoda of 10,000 Buddhas! ), and so many sculptures, murals and carvings that all have specific meanings. The priest who founded the temple, Venerable Beow Lean, felt that the location had the right feng-shui for a temple. He named the hill “Huock-san”, or Crane Hill, because he thought the hill looked like a crane spreading its wings. The temple is perched on a hillside and provides amazing views of Georgetown. The magnificent view provides such an array of colors and flavors, and brings me back to my childhood in Vietnam. What a riot of color and detail! Touring the Kek Lok Si temple in the hills surrounding Penang is an absolute one-of-kind experience—and one I’ll never forget. Ann Tran is currently sailing onboard the Azamara Quest in Asia as a guest of Azamara Club Cruises. Follow her adventures on Twitter.